As part of the PPP module I decided to start creating regular blog posts documenting inspirational material discovered while going about my everyday activities. Anything that catches my eye or motivates my creativity in any way will be documented. I believe that by expanding and documenting my sources of inspiration I am exposed to will subsequently improve creativity and help to develop and inform my identity as a designer. 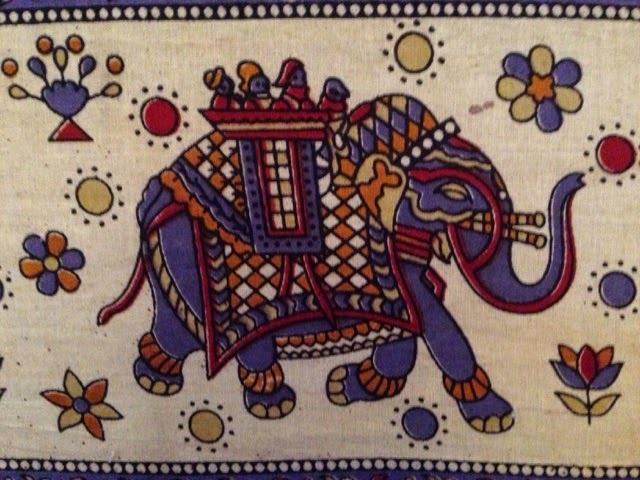 The image below displays a small section of an Indian style wall hanging that is currently hanging in my living room. The intricate details of the illustration and cohesive colour pallet helps to create an aesthetically engaging image in a style reminiscent of the continent in which it was created.